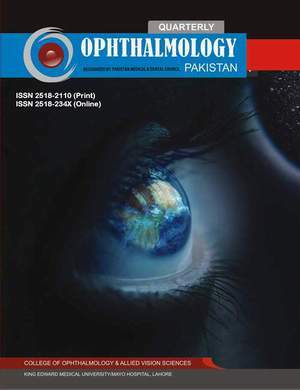 Ophthalmology Pakistan Ophthalmology Pakistan. A double blind peer reviewed journal. ISO Abbreviation = Ophthalmol. Pak. Toy-gun pellet-related ocular trauma on festive occasions. Anatomical outcome following pars plana vitrectomy alone versus pars plana vitrectomy with scleral buckling for the repair of rhegmatogenous retinal detachment. Comparison of central and peripheral corneal thickness in different degree of myopic patient.